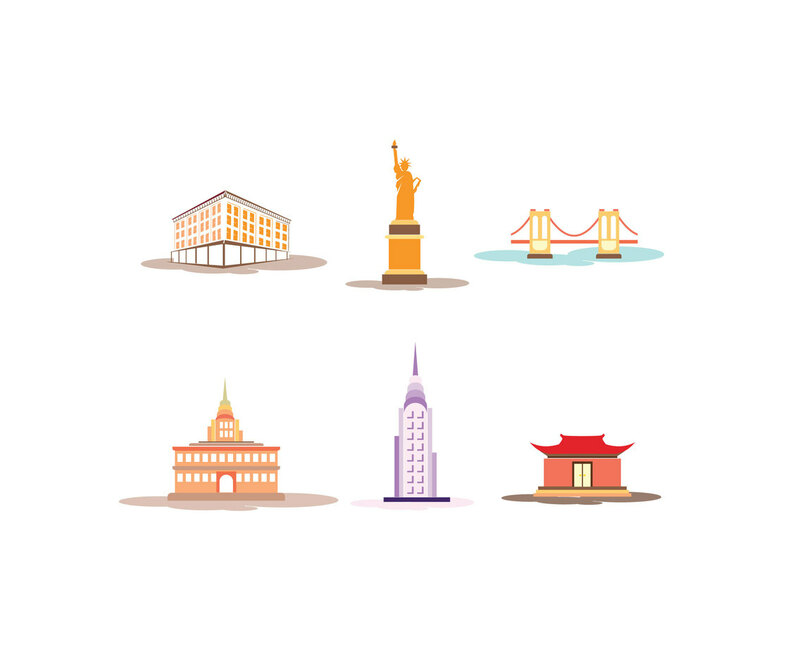 A set of Manhattan landmarks vector illustration. In the set you can find icons or illustration of a few buildings located in Madisson Square, such as Fifth Avenue Hotel, Liberty Statue, Brooklyn Bridge, Chrysler Building and China Town. This vectors are perfect as design element in traveling brochure or trip infography poster.